Cardona and its surroundings have an interesting cultural heritage, the fruit of its vast history, which has already been witnessed since the time of the Iberians. The visits to the salt complex, mountain of salt, old mining exploitations and museum, or the old nucleus of Cardona and the Castle, are indispensable to understand the evolution of the town and to know a little of the history of Catalonia. The three activities are quiet, do not leave Cardona, suitable for all and ideal to share as a family. 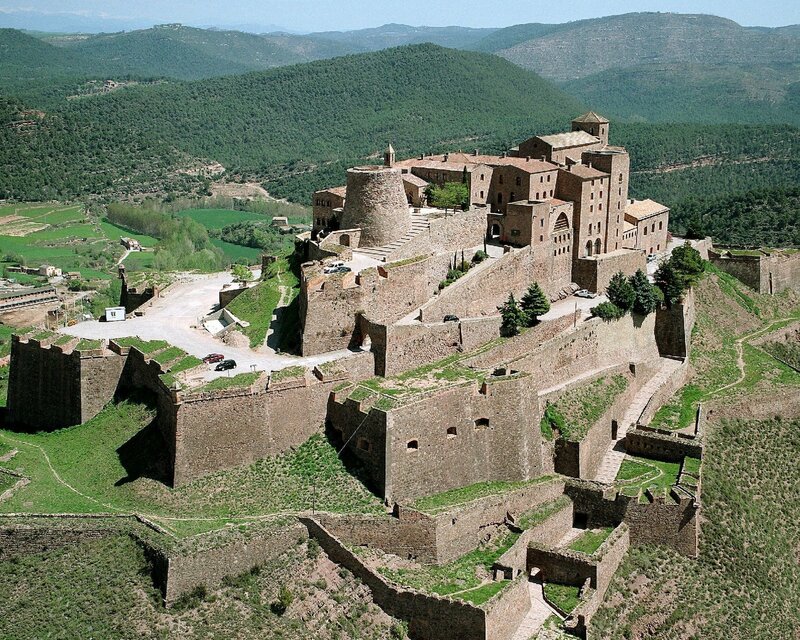 Located in the center of Cardona, during their journey they will relive the more than 1,000 years of history, legends, anecdotes, wars and curiosities that hide the stones of this fantastic castle. The monumental complex of the castle and the canonical one of Sant Vicenç is integrated by elements that are the result of the 2,500 years of human occupation of its mountain. From its 585 m high, you can enjoy a privileged visual domain over the river basin of the Cardener River and the salt that crops out in Cardona, a circumstance that made this mountain a unique site to defend access to its saline and the trade of the Salt through the Cardener valleys. Built in the year 886 by order of Guifré el Pilós, it is an excellent combination of Romanesque and Gothic styles. 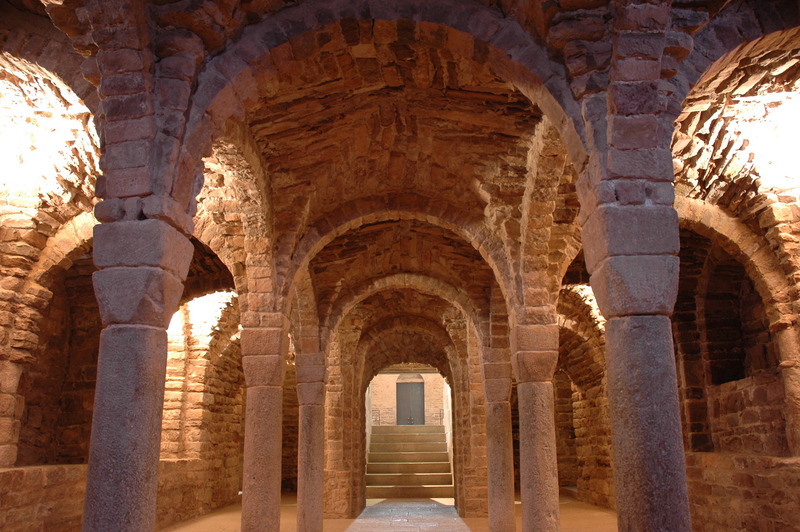 Since 1976 it has functioned as a tourist hostel, but you can visit the walled enclosure and pass to the canonical Sant Vicenç, a sample of early Romanesque art in Catalonia that was consecrated in 1040 and has been declared a national monument. During the tour of the historical center of Cardona the guides will make you relive the history, the legends, anecdotes and curiosities hidden in every corner of the town. Houses of noble merchants, porches, gothic vaults, the chapel of Santa Eulalia, the Town Hall, the parish of San Miguel, the Graells House, etc. The old town of Cardona has been declared a Cultural Asset of National Interest in the historical category since 1992. Its origins date back to the first half of the 11th century, when a small village or suburb was formed around the market that was held at the foot of the castle mountain. Another essential activity to do in Cardona is the visit to the Cultural Park of the Salt Mountain, and not only because it has become the symbol of Cardona but also because this mountain is a unique phenomenon in Europe that appeared in a natural way. 40 million years old. The mountain of salt, which was already worked in the time of the Romans, was a mine in operation for almost the entire twentieth century. In 1990, as a result of industrial evolution, the extraction activity was finished and the mountain was opened to the public. 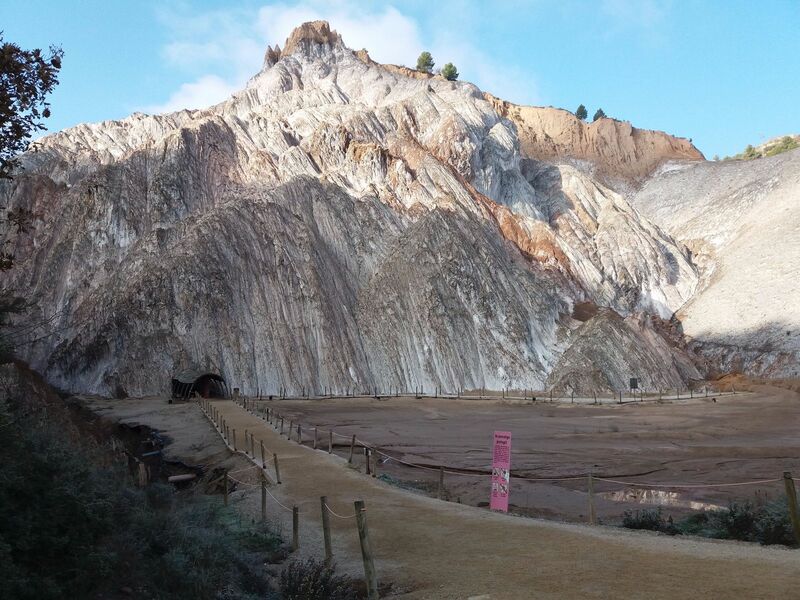 The Salt Mountain Cultural Park offers the visitor: A walk through the old mining facilities: Under the imposing image of the tower of the old María Teresa mineral extraction pit (46 meters), the museographic area that tells the story of the industrial exploitation of the Valley. You can also see the mineral extraction machinery of the well, just as it was when it was fully operational. A guided tour to 86m of depth: Inside the galleries of the Mountain of Salt, open since 1997, the different folds and veins of the deposit and the diversity of minerals are manifested with all their splendor and spectacularity. It is accessed with 4×4 cars and once inside the route is on foot and you can see the salt veins of different colors and the formations of stalactites and stalagmites. A unique place in the world!